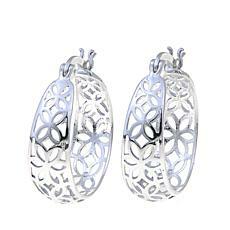 Sevilla Silver Floral Filigree Hoop Earrings Talk about flower power. 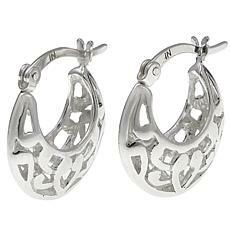 An intricately detailed filigree design gives these hoop earrings a fresh makeover. 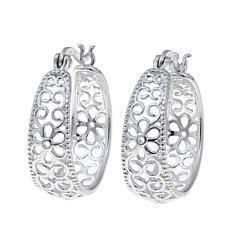 Made of gleaming sterling silver, you can't help but wear them with everything.